not done more conscious formal educating of the kids. But perhaps they should also know their ABCs, I thought. know she is familiar with 5 of the 26 letters anyway. 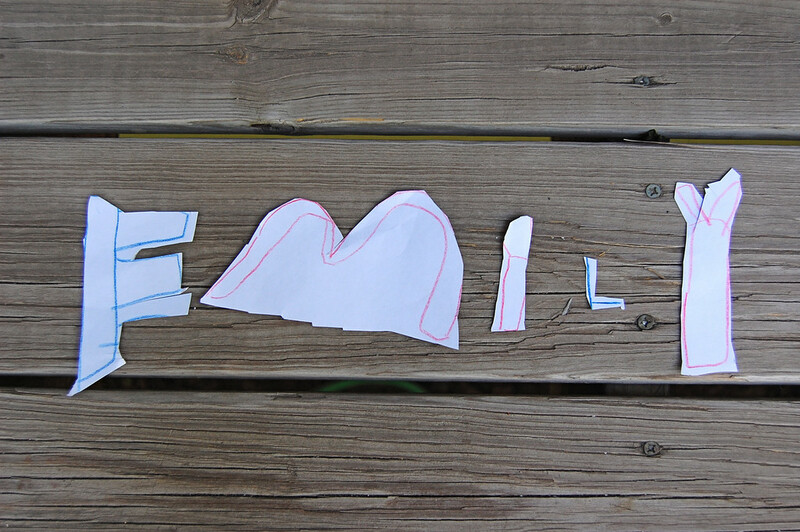 But she inspired me to do some letter-cutting myself. 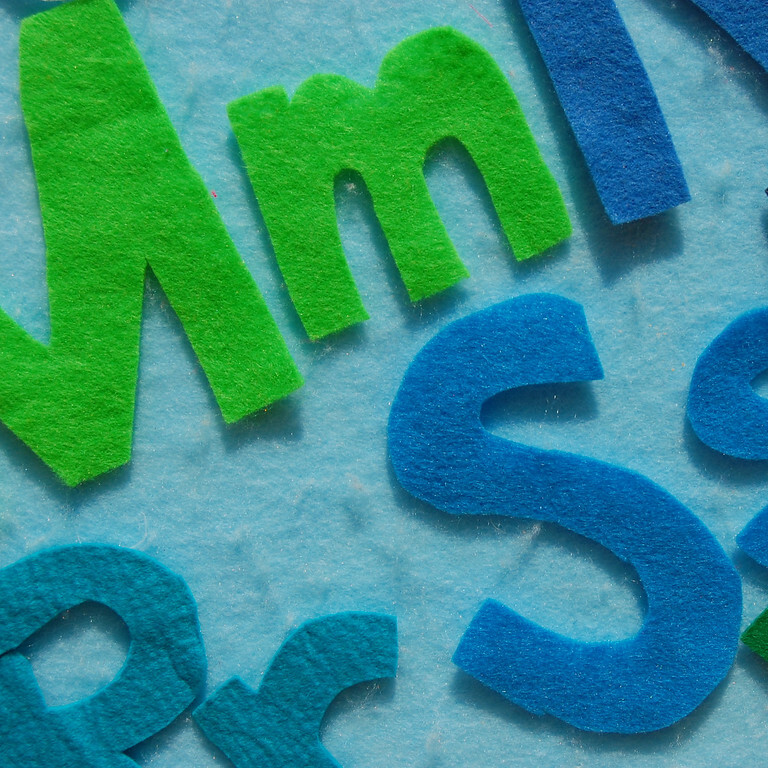 and lower-case of each letter out of the same color. a rather good felt board too! Very cute! What a great use of the couch too! 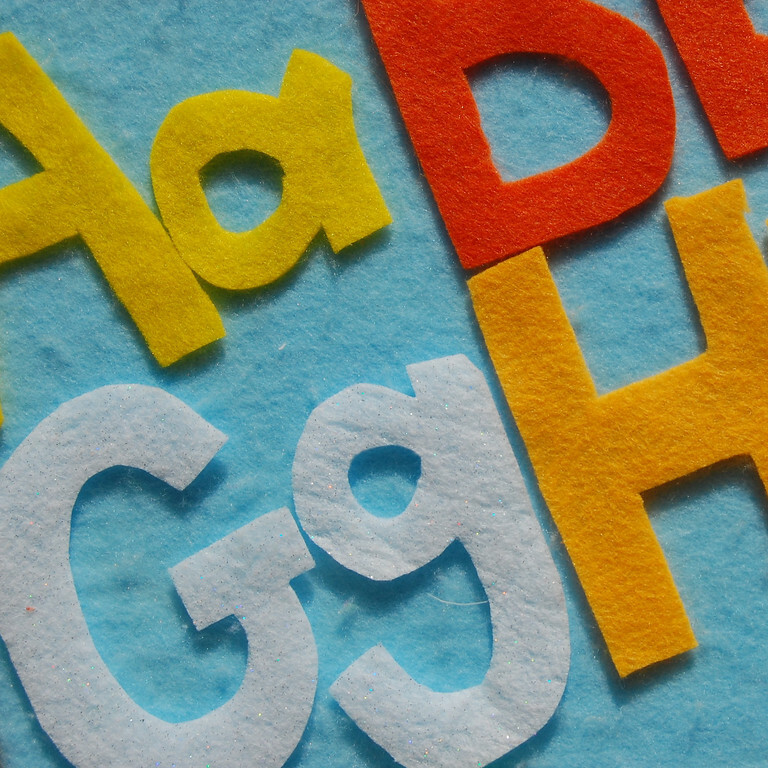 What a fun and hands-on way to explore and learn the alphabet. I am in the process of making a felt board featuring shapes. The plan is that my little girl will be able to use the basic shapes to make animals and simple structures. She loves the book "Mouse Shapes" so I thought a felt board might be a way where we can play and design all sorts of creatures. MA: I procrastinated for months! But that night when I actually did cut them out, it took maybe an hour total. Less time than cutting out the princess castle and astronauts etc. Do-able! F: Yes, finding out the couch was a decent felt board was great. 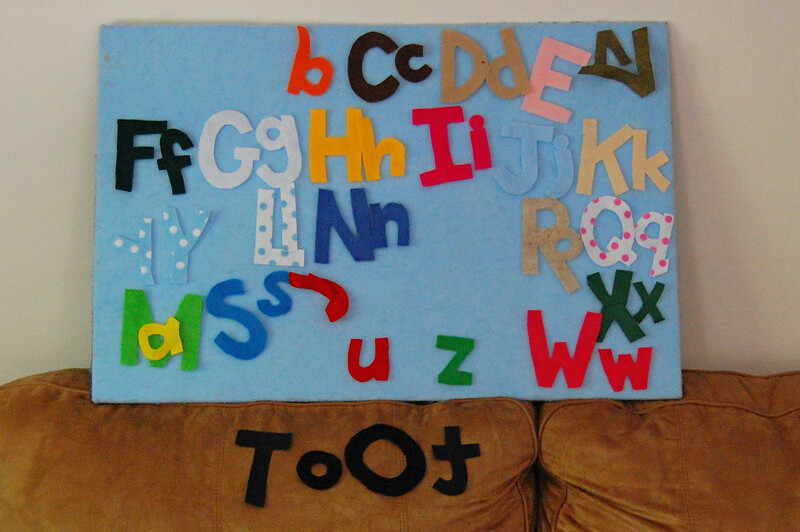 But also felt silly, wondering if I should have just used the couch all along instead of making a felt board! E: I bet your felt board and shapes are going to turn our wonderfully! Basic shapes are really the best way to go because there is no limit (apart from the kids' imaginations) to what you can create from them. 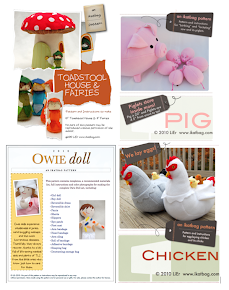 Mary Anne has some very good felt-board shape ideas on her blog -go visit and see! 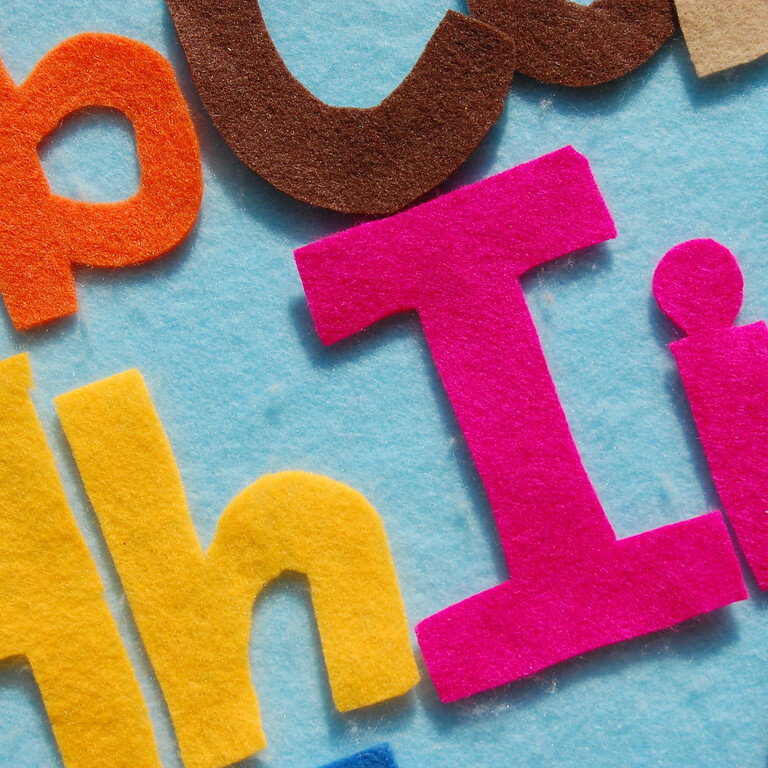 Great felt letters! 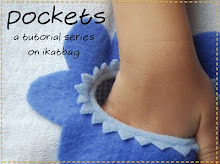 Whatta cute n' crafty site with uber fabulous step-by-step photos. Thanks so much for the blog link... I've added yours to mine as well. 26 colors! u really amaze me. :) will u be doing numbers next? They look amazing!!! Did you use a stencil? I only ask because i think my own letters won't look quite as nice! 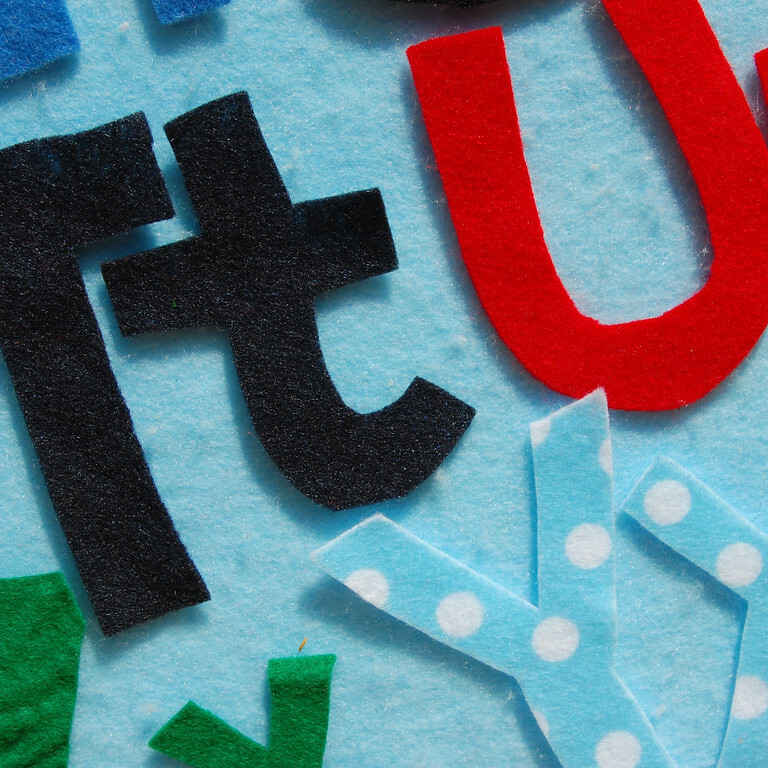 I really want to make a alphabet hopscotch out of felt!!! 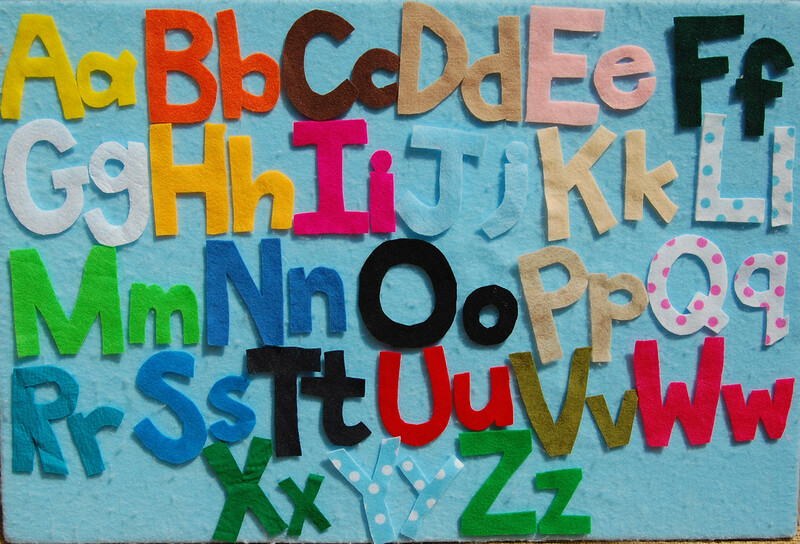 The alphabet and felt board are a great idea too!! Thanks for sharing!